Waymo is accusing Uber of stealing its technology. 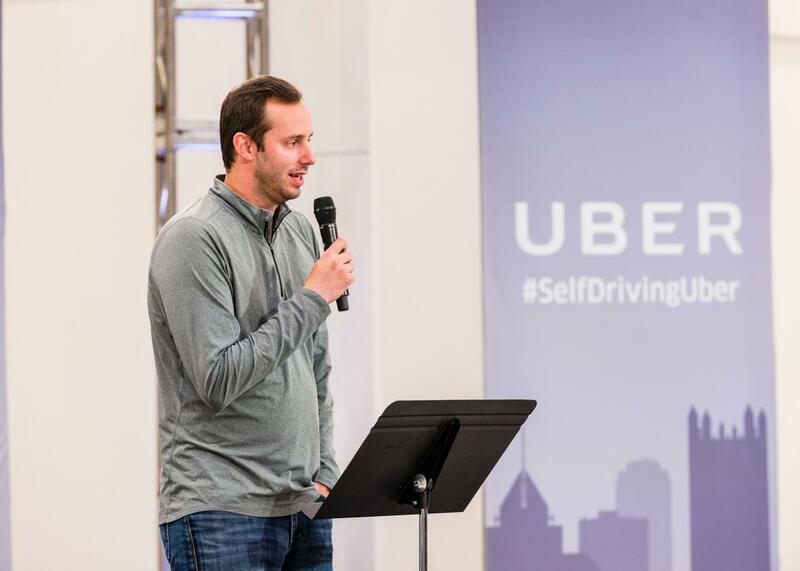 Anthony Levandowski, Otto Co-founder and VP of Engineering at Uber, a the launch of the pilot model of the Uber self-driving car in September 2016 in Pittsburgh, Pennsylvania. Google and Uber started off as friends, then became competitors, and are now adversaries in a bitter legal fight. Waymo, the self-driving-car business that is owned by Google parent company Alphabet, has sued Uber, alleging that the ride-hailing company stole its intellectual property. The lawsuit, filed in the US District Court in San Francisco, claims that a team of ex-Google engineers stole the company’s design of its lidar system for Uber’s self-driving-truck startup Otto. “We believe these actions were part of a concerted plan to steal Waymo’s trade secrets and intellectual property,” reads a blog post by Waymo posted on Thursday. “We take the allegations made against Otto and Uber employees seriously and we will review this matter carefully,” Uber wrote in a statement to Business Insider. Waymo said in the lawsuit that it was copied on an email, apparently inadvertently, that included machine drawings of what appears to be Uber’s lidar circuit board that “bears a striking resemblance” to Waymo’s own designs. Waymo alleges that Anthony Levandowski, a co-founder of Google’s self-driving car project, “downloaded over 14,000 highly confidential and proprietary design files for Waymo’s various hardware systems, including designs of Waymo’s LiDAR and circuit board” six weeks before resigning from the company. Levandowski left Google after 9 years to found Otto, which was acquired by Uber at a deal valued at nearly $680 million. Uber bought Otto in August 2016, just six months after Levandowski founded the startup. Waymo alleges that Levandowski installed specialized software on his company laptop in order to gain access to Waymo’s design server. He then downloaded 9.7 GB of highly confidential files and trade secrets that included blue prints, design files, and testing documentation, the lawsuit claims. Waymo wrote that former Waymo employees now working at Uber and Otto downloaded “additional highly confidential information” related to its lidar system, including supplier lists, manufacturing details, and statements of work with highly technical information. “Misappropriating this technology is akin to stealing a secret recipe from a beverage company,” Waymo wrote in its blog post. Waymo announced in early January that it was building its own lidar system in-house, which allowed it to reduce the price of the notoriously expensive system by 90%. The lawsuit marks the the latest escalation in the bumpy relationship between the two tech giants. Google Ventures invested $250 million in Uber in 2013, when the ride-hailing service was still in its early years. But as the two companies’ business interests began to overlap, particularly around self-driving cars, the relationship began to fray. In August, Google executive David Drummond stepped down from his seat on Uber’s board. Prior to stepping down, Drummond, as well as Google Ventures CEO David Krane, had been shut out of Uber’s board meetings.